Your charter begins in St. Maarten, the Dutch side of the West Indian island, which is easily serviced by commercial and private flights. Arrive a day prior to explore both the Dutch and French sides of this culturally diverse island, or fly in the day of your charter to be met by your crew at the airport and whisked away to meet your yacht at the beautiful Isle de Sol Marina. After you greet your crew and settle into your stateroom, join your guests on the airy bridge deck to enjoy in the view of St. Maarten's top megayacht marina. Take an afternoon stroll to the Simpson Bay Bridge to overlook the day's parade of yachts. After hors d'oeuvres and a delightful al fresco dinner, try your luck at the poker table or catch the nightly show at Casino Royale. After a tropically inspired breakfast of fresh fruit and pastries on the bridge deck, perch on a deck lounge chair or settle into a sumptuous settee as your yacht gets underway for Anguilla. Only an hour cruise from St. Maarten, Anguilla is a flat coral island that is home to pristine white sand beaches. 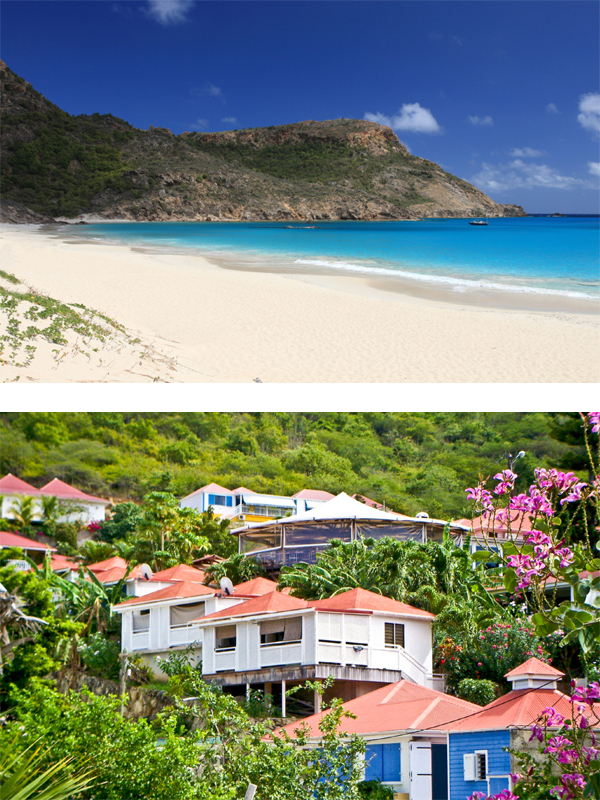 While Anguilla is considered as exclusive as St. Barth's, it is also more serene. Local fisherman account for a large part of the robust economy, as they provision an array of local fine dining restaurants with their daily catches. 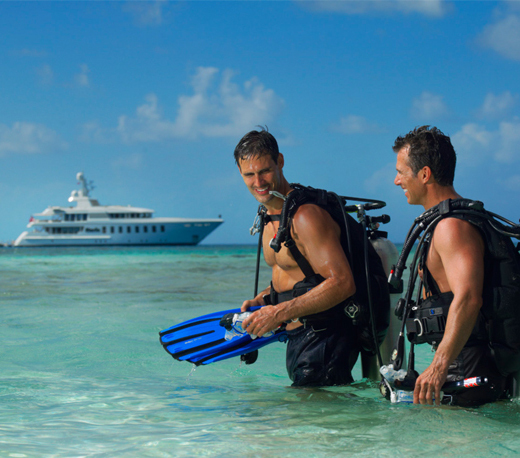 Spend the day exploring the colorful undersea world that surrounds Anguilla's white sand beaches. While Anguilla is known for offering some of the world's best snorkeling grounds, it is also home to some of the best reviewed restaurants in the entire Caribbean. Dinner this evening will be arranged by your crew at one of the island's hippest restaurants. Early risers may enjoy tendering in for a morning hike at Prickly Pear Cays, mostly uninhabited islands known for their abundant marine and bird life. Back onboard, take in the sights as the crew prepare lunch al fresco and navigate to the newly opened Marina at Christophe Harbour on the southeast peninsula of St. Kitts. Unlike much of the Caribbean, St. Kitts is largely undeveloped and is thus home to breathtaking expanses of protected rainforest and some of the most rare ecosystems in the world. Spend the afternoon meandering through the Christophe Harbour beach resort community, arrange for an underwater cave diving adventure or plan an afternoon excursion to discover St. Kitt's fascinating history. As the sun sets, enjoy cocktails at SALT Plage Beach Bar, offering the best sunset experience on the island. Today is a special day for golf enthusiasts, who can awake as early or as late as they like and enjoy a satisfying breakfast before tendering ashore to play a round (or two) of golf at a prestigious golf course. The Four Seasons Nevis course is a Robert Trent II-designed course that offers a dramatic view of St. Kitts and the Caribbean. After the morning's round, enjoy lunch on Nevis before heading back to St. Kitts for an afternoon tee time at the St. Kitts Royal Golf Club â€“ a favorite among serious golfers. 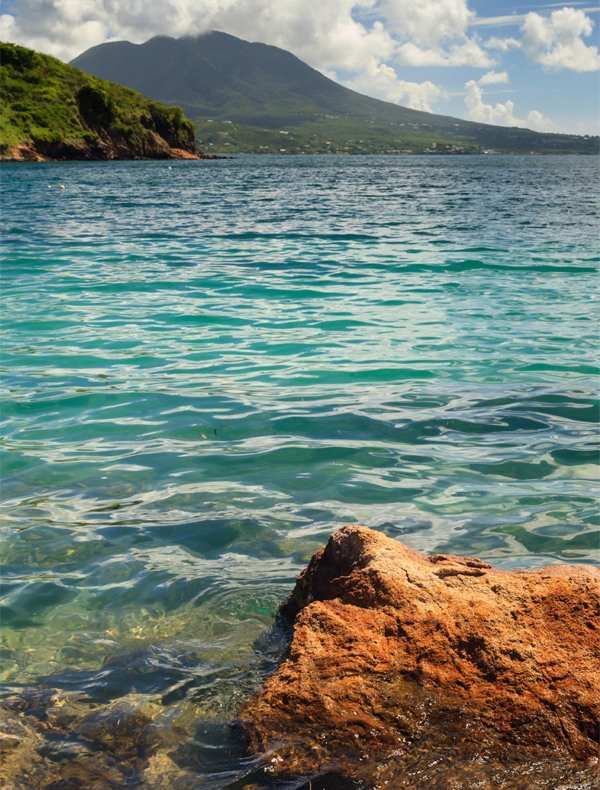 Guests who prefer to experience the island's natural beauty in another capacity can partake in a variety of activities, from watersports, diving and snorkeling, to hiking, biking, visiting local artisans, or simply beachcombing or sunbathing one one of St. Kitts' glorious beaches. A creative 5-course dinner followed by cocktails under the stars awaits you back onboard your yacht before you get underway for the sparkling island of St. Barts. 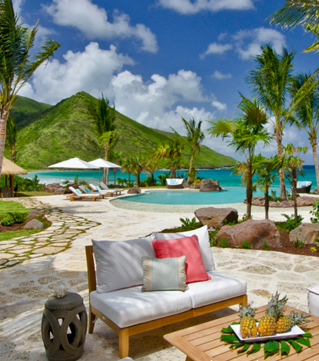 Wake up this morning to take in the view of St. Barts. This sophisticated French island offers everything from serene beaches to a bustling beach and downtown scene that rivals the best of Paris, St. Tropez and Nantucket, Rhode Island. Jump in the crystal clear waters to hone your wakeboarding and water skiing skills this morning. A variety of other water toys can be launched and ready for a morning on the water. Shoppers won't want to miss a trip ashore to peruse the beautiful boutiques such as Calypso, a curated collection of fashionable outfits and accessories, or browse well known designer brands such as Dior, Hermes, Stephane & Bernard and Kokon. A late afternoon rose luncheon at one of St. Bart's charming bistros is a must. 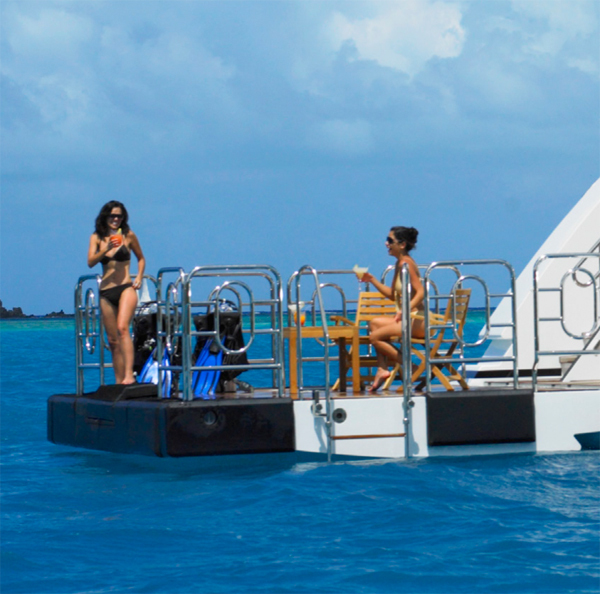 Return aboard for a relaxing dinner under the stars. After a leisurely morning swimming, snorkeling or catching up on a favorite book, tender to Flamands beach, where your crew will have set up a mid-morning picnic complete with fresh-baked delights. Spend the day today on one of St. Bart's 22 beaches, perhaps enjoying lunch at Hotel Saint Barth Isle de France, where tables are set up right on the beach so you can dine with your toes in the cool sand. As the sun begins to wane, hop in the tender for a cocktail sightseeing cruise around the island with its hilltop homes and colorful visitors. Freshen up onboard before returning ashore to partake in some of the world's best nightlife. Visit Le Ti, possibly the most famous restaurant/cabaret on St. Barts, which has been consistently rated #1 for dÃ©cor and ambience by travel magazines. Alternatively, enjoy cocktails, hors d'oeuvres or dinner at Le Tamarin, an open air restaurant built around a 100-year-old tamarind tree; On-the-Rocks, the exclusive restaurant located within the Eden Roc hotel, or Maya's to Go, St. Bart's most famous waterfront beach restaurant. Wake early to catch another glorious sunrise with your morning juice or coffee. Today is your last full day as our guest and will be a day for pampering. 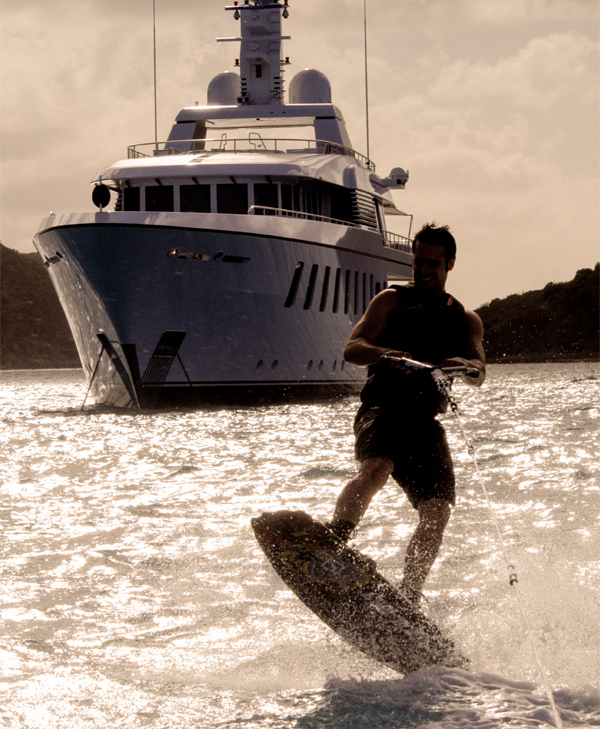 Take a dip in the crystal blue waters before your yacht hauls anchor and bids adieu to the excitement of St. Barts, bound for a return to St. Maarten. Today, allow your crew to arrange a massage or spa service, either at one of the many boutique spas available or within the comfort of your onboard accommodations. This evening, your chef will prepare an exciting themed dinner according to your dietary preferences. St. Maarten is known for its culinary prowess and fresh seafood, so your dinner will utilize the very finest in local ingredients. Toast to laughter, love, and memories made as the sun sets on your final evening aboard Usher.